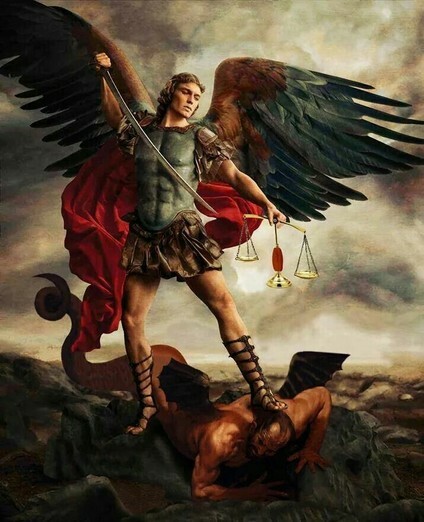 St. Michael the Archangel, defend us in battle. Be our defense against the wickedness & snares of the Devil. seeking the ruin of souls. Amen!